I’m in the 1st round of the DMC Online DJ Championship. Check out my routine, and if you like it, please give it 5 stars HERE. Got a new mix up! Been listening to a lot of UK Funky and Garage lately, and that’s what went in. Enjoy! Here’s a new scratch routine I built for the Kid Koala 12 Bit Blues Contest. For this one I used the 15 Blues Bits Battle Flexi included with the 12 Bit Blues special edition, and Ableton Live’s Looper to do the layering off one turntable. If you like the routine please give it Thumbs Up on Youtube, I’d really appreciate it. 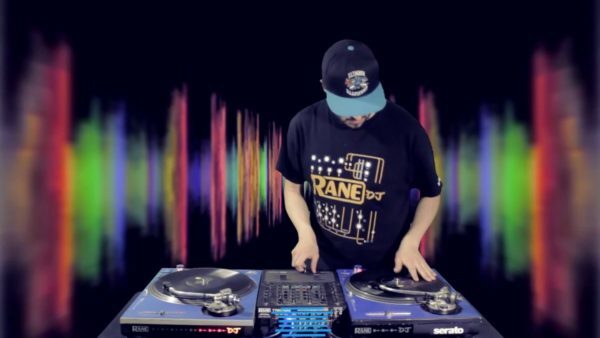 A short turntablism routine built not long ago with Ms Pinky, using Gangstarr’s DWYCK, DJ Shadow’s Walkie Talkie, and Mixmaster Mike’s Terrorwrist (Beneath the Under). The greatest invention since sliced audio! Scratch, Beat Juggle and Reverse your audio output using only Ableton Live’s built in plug-ins (Simple Delay, Looper and Racks). Thanks to Clist for the inspiration with his Beat Lookup Reaktor Patch and mike@TrackTeam Audio for showing what is possible with the new Live 8 delays.